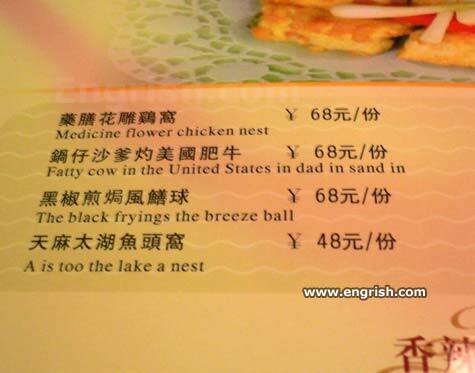 I love me some Engrish so when I see it with Bacon included it just makes my day. Kidney Bean Bacon Cigarette Flesh = Green Beans with Smoked Bacon? The demon moustache squid roasts! Of course, Bacon is well-informed meat, did you expect anything less?